Colour photograph of the western side of Dornoch. 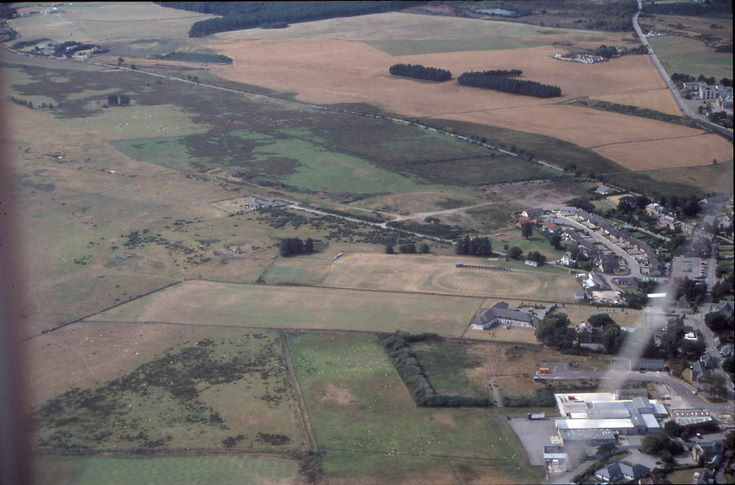 A949 Evelix Road leading to the A9 can be seen at top right passing Dornoch Academy. The sweeping minor road from centre right to top left is the Lonemore road which also leads to the A9 just short of the Dornoch Firth Bridge. From a box of 23 colour 35mm slides taken by Peter Wild during a microlight flight in summer 2003.